Among the traits Dads are best known for are dependability and loyalty. You know that whatever happens, your dad will be there for you. They are also known to be supportive and adaptable to any situation. On Father’s Day, Dockers® will help your beloved Dad be stylish but still true to himself. The 30-year-old brand has indeed fulfilled its promise to make dressing well a lot more fun for fathers. Dockers® is the brand that introduced khakis to the world. And what Dad doesn’t love his khakis—those pants that are as comfortable as jeans but looked dressy enough for special occasions? 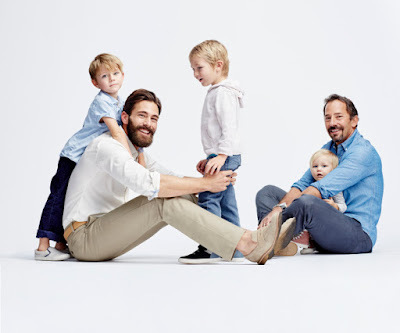 If you look back at 30 years’ worth of Father’s Day photos, one thing is clear: Style changes, but Dockers® stay. Dockers® still makes awesome khakis but with each new generation, has introduced new styles and fabrics. Dockers® is all about keeping it simple, polished, and effortless. Each pair of slacks and every shirt and belt has been carefully considered for a sophisticated but not overdressed look. “You know how dress codes for special events say ‘business casual’ or ‘smart casual?’ Dockers® has the perfect ensembles for those occasions,” says Kaths Laudit, marketing head at Dockers® Philippines. And while Dockers®, which marks its 30th anniversary this summer, is a favorite of Dads all over the world, they’re not #dadpants at all. Dockers® is a brand rooted in change and what makes it stand out is how it has kept up with the times. The beloved pleated khakis are still there but there are new relaxed and slimmer fits. The fabrics are still soft and supple but some of the pants have materials with stretch for comfort. For its 30th anniversary, Dockers® is introducing a brand new mantra on how men buy pants: You only need four different styles of pants to get you through any situation. The Jean Cut is your best-looking jeans while the slim fit The Broken has a more lived-in look. The Clean Khaki is the ultimate versatile pant while The Best Pressed is for when you want to look your sharpest. If you’re looking for a Father’s Day gift, check out the new Dockers® Signature On-The-Go Khaki Stretch Straight-Fit Flat-Front collection. The Signature On-The-Go Khaki Stretch is a straight-ahead style with a straight fit, flat-front and moisture-wicking technology, which delivers modern flair and continuous comfort. The pants are perfect for a dinner date, a walk in the park or even a business meeting. The Dockers® brand has been a cornerstone of menswear for more than 30 years. First introduced in 1986 in San Francisco, California, this American classic has been at the heart of the casual movement dressing men for every occasion from head to toe. Our thoughtful innovations and meaningful details have always served a purpose, not a trend. Today, the Dockers® brand continues to be America’s favorite khaki and offers a wide range of apparel and accessories with no compromises in quality – just versatile, essential style. An iconic brand for good guys everywhere, the Dockers® brand is a division of Levi Strauss & Co. and available worldwide in 60 countries, on six continents. For more information about the Dockers® brand, its products and stores, please visit http://www.dockers.com.